I’ve been creating stories for as long as I can remember, but I’ve been struggling with Depression since I was fifteen. I didn’t fully understand Depression until recent years when I finally started taking steps to manage it. For years, I didn’t know why I would feel sad for days on end or abruptly stop being motivated to do things I’ve loved or why I was just so darn sensitive. Depression is a chemical imbalance in the brain. When I get depressed, my thoughts spiral into doubts and kicking myself over every little thing. It’s not just feeling sad. It affects my entire body. I’ve sometimes felt so “down” that it’s hard to wake up in the morning, my back and neck hurts, and I lose my appetite. Some of the things I do to feel better are take walks or drink tea with lavender, chamomile or chocolate or watch a favorite TV show. Sometimes writing out my emotions in my stories is therapeutic. All of this in turn affects how I handle life as a writer. I know I’m not alone. A lot of writers struggle with mental illness. Perhaps some who struggle with Depression can relate to these confessions. 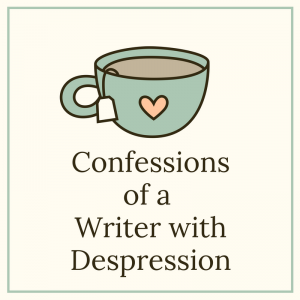 I Have to Take Breaks – I watch writers able to type out thousands of words a day or write every day for a year, and I think that’s fantastic, but having Depression makes that hard for me. I can get burnt out so easily if I do that much. I usually have to take a mental health day every week or that can make my depression act up and then I’m out of the game for days. Sometimes I Have to Take Days Off on Down Days – Sometimes my Depression hits me at times I don’t expect. I get so down that I can’t concentrate and just uncontrollably think of anything that could possibly be bothering me on repeat. Therefore I need to take an hour or up to several days off to pick myself back up. It’s Very Hard for Me to Develop a Thick Skin for Criticism of My Work – I’ve gotten so much advice on how to develop a thick skin for critique. Critique is a wonderful tool, but I still procrastinate for days before I read any feedback of my work, because I’m afraid it’s going to be bad enough to send me into a spiral of Depression. I usually have to spend a good five minutes or more psyching myself up before opening the document. Then if the critique is bad, sometimes I take a day off of writing to recover to make sure it doesn’t cause a down day. Rejections Hurt A lot – When I see an email from a publisher or agent in my inbox, I feel a rush of cold go down my spine. Then I steel myself for a rejection. I’ve only gotten one acceptance, so this has happened a dozen or two times. Sometimes I can shrug off the rejection, but it usually sticks with me like a parasite for a day. More often than not I have the battle off feelings of doubt that I’m a good writer. Sometimes I have to take days off writing to make sure I don’t get a down day or sometimes because it incites a down day. I Feel Things Deeper in My Writing – People with Depression feel emotions deeper than the average person. They are more sensitive to feelings of others around them. This in turn can be a writer super power. This post isn’t to ask for sympathy. This post is to come clean about how it is be a writer and live with Depression. I can’t just eat some chocolate and feel better five minutes later whenever I start feeling sad after an agent made the decision not to represent my work. No matter how much I wish I could yank myself up from being knocked down as anyone not struggling with depression seems to be able to I can’t. It’s not all in my head. It’s a real thing that affects me. Depression is part of my struggle, but it helps me relate to my characters who struggle with it. I don’t know how long I’m going to struggle with Depression. It could be my whole life. I may have to tweak my schedule a bit to keep it under control, but I won’t let it stop me from being a writer. Have you struggled with depression? How does it affect your writing? What do you do to cope? Victoria Grace Howell is an award-winning, author of speculative fiction, a social media manager, an editor for the non-profit organization, Geeks Under Grace, a staff writer for Geekdom House, and has been published in Splickety: Havok Magazine and Area of Effect Magazine. Since she was a child growing up in the state of Georgia, she’s always had a heart for stories. 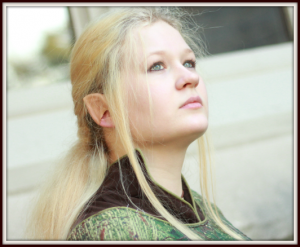 When not typing away at her novels, she enjoys drawing her characters, blogging at Wanderer’s Pen, practicing Kung Fu, cosplaying, and having a really good hot cup of tea. Connect with her on her blog, Facebook, Twitter, and Pinterest. Tagged Depression, Life, Writing Life. « Bellanok is Available in Paperback! As a writer with depression, I relate to this. Thanks for opening up like this, and I applaud you for marching on so well as you have all these years! You have a rare strength. Aw thank you. I’m really glad you enjoyed the post. I hope it lets you know that you’re not alone. *hugs* Keep on keeping on! Thanks for commenting! I admire your strength, Victoria, and even though I don’t struggle with depression, it is so encouraging to hear another writer say it’s hard to develop a thick skin when comes to critiques/rejections. Aw. Yes. You’re not alone. Critiques and rejections are tough! Thanks so much for commenting. Awwwwww. *hugs* That’s the purpose of this post. It touches me that you were encouraged by this. Thanks so much for sharing your thoughts. For me, the main thing is to avoid putting too much pressure on myself to write faster, better, more. So I record what I have accomplished (to prove to myself that I did it) and affirm to myself that even my supposedly sub-par efforts still have purpose and value in the end (my Twitter feed has lots of such affirmations). Also, just having one or two die-hard fans (even if they’re family) means the world to writers like us. Every time I publish, it’s because my mom and sister spent hours affirming me and giving me positive feedback (along with critiques). My mom recently posted her own affirmation on my affirmation board, telling me how important my stories are to other people and to her. On a depressing day, things like that mean everything. We deal with deep emotions so that we can write deeply. If there’s one thing I’ve learned through it all, it’s that the story is worth it. I love your attitude, Yaasha! That’s a great way to combat mental illness. I’m glad you’ve got your family on board to help you with it. That’s sometimes a very tough thing to do. Keep on writing! Some days I just go into hiding and recharge my batteries. When it’s really bad I refuse to write or even critique because it will be devastating. Wow! I feel the same way too sometimes. I get nervous that I’m going to be triggered. *hugs* Hang in there! Thanks so much for sharing your thoughts. I too struggle with depression as it relates to writing. I am learning when the depression settles in to acknowledge it and then look for ways to rise above it so it does not control my life. I am learning to face it and get on with life. It’s a tough journey. I wish you the best! Before I wanted to be a missionary, I wanted to professionally write, and I dreaded those same obstacles being so tied to my income and goals. D: I believe this will be encouraging for all sensitive and introverted writers– those with depression especially, but for others and myself (still writing on the side) to accept not always being okay. My solutions: 1. Protecting some form of weekly rest, ’cause I’m not sure my personality type or frankly any human being is meant for 7 days of work as if it all relies on us. 2. Reading Psalms, which are excellent in expressing deep sorrow along with God’s faithfulness. 3. Remembering Jesus didn’t maintain emotional stability at all times, so spiritual joy should be a lot more than positive thinking plus stoicism. …glad to work on the same team with you in GUG, Victoria! 😀 I didn’t know you write for so many sites plus novel crafting. As someone who loves words and contemplated a writing career, I think that’s serious evidence of faithfulness despite internal and external conflict. Hello, GUG member! I didn’t recognize you because just Taylor haha. XD Aw thank you. Accepting not being okay all the time is a tough thing to do. And yes having a day of rest is super important for everyone. Thanks so much for commenting! I’m also learning it’s okay to rest. The world will not stop because I do. Imagine my shock when I realized the world does NOT revolve around ME and what I do! And God doesn’t frown when I rest. Whew! Neither do my friends and family. Basil is wonderful. I discovered basil lemonade and it’s wonderful. It helps me so much. *lots of hugs* Thanks so much for sharing. Oooooh, basil lemonade! Do you make it yourself? I grow basil in my garden and have already harvested and dried a lot. Yep. I make it myself. You can make it with Holy Basil as well. It’s super easy. NICE! Thanks, I’m gonna try it! Victoria, my heart goes out to you. I lived with depression for 30 years (allowing for perhaps the first few years of my life I did not) I asked God (more or less) what was wrong with me and He gently walked me through years and layers of wrong thinking. I was on Zoloft for 2 or 3 years of this process. It’s nearly 22 years later now, and I no longer live under the oppression of this horrible demon. Please feel free to connect with me on FB if you’d like to chat more. Aw. Thank you for that. It gives me hope. This has been a tough journey.